Let us either flee from his future wrath, or else embrace is present grace; no matter which so long as we are found in Jesus Christ with our true life before us. 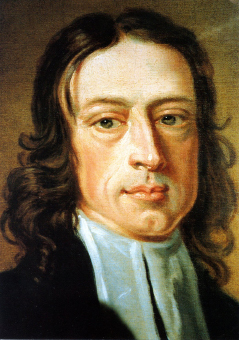 Any reader of John Wesley will know that he places his theological weight on fleeing from the wrath to come. His salvation message was rooted in original sin and the need for Christ’s power to break the bonds of sin lest we continue on to eternal wrath. We are in a state of nature. Our spiritual awareness and senses are dead and we are deaf as stones to the grace and presence of God. By grace, we come to state of conviction. Confronted with the glory of God and the depth of our own sin, our soul cries out in despair for we know we are bound for hell and deservedly so. By grace, we are justified. We experience the pardon and forgiveness of a loving God who came to save us. We have the assurance that marks our new birth into the life of God that Jesus Christ has broken the power of sin and set us free from its guilt, power, and condemnation. By grace, we go on to perfection. As new babes in Christ, we grow into the perfect love of God and neighbor by means of the works of piety and works of mercy that God has ordained as channels of grace. By working out our salvation, our hearts are changed and we come at last to reflect the image of Christ in our lives, which is a reclaiming of the image of God in which we were created. This is the way of wrath that John Wesley discerned and preached. Posted on July 5, 2011 by John MeunierPosted in Discipleship, Grace, Methodism, SalvationTagged Ignatius of Antioch, john wesley, Salvation. I find my heart strangely warmed by your reference to the long-lost Wesleyan convicting grace. My friendly amendment would be to include the step where God’s irresistible prevenient/preventing grace enables deaf stones to hear. I happily accept your amendment.